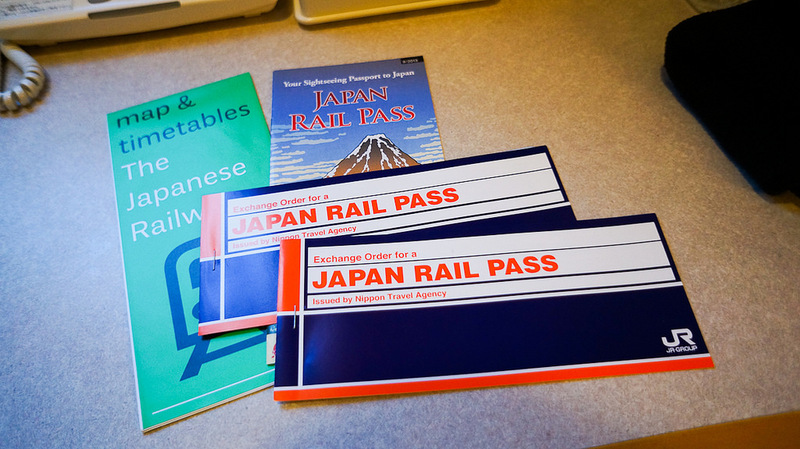 post-title Japan Rail Pass (JR Pass) Perfect Guide – Price, Purchase, How to. 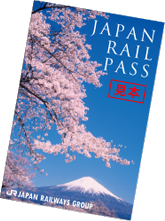 Home / Japan Rail Pass (JR Pass) Perfect Guide – Price, Purchase, How to. 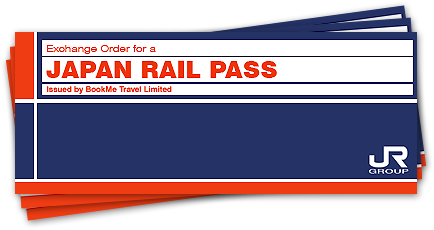 Japan Rail Pass　(or JR Pass for short) is a rail pass that provides foreign tourists unlimited use of JR Company’s transportation services throughout Japan for a certain time period at a certain price. 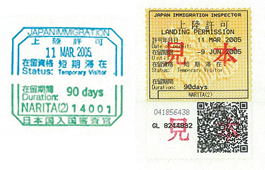 Any foreign tourist who enters Japan as “temporary visitor” can buy the JR pass. Additionally, Japanese nationals with permanent residence outside of Japan, and Japanese who have a spouse that lives outside of Japan can also purchase the JR pass. You can basically travel almost anywhere in Japan except for the south most prefecture Okinawa. 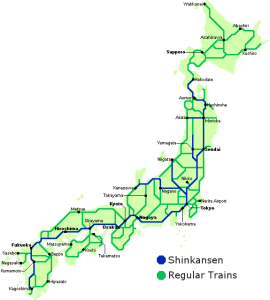 The main reason to purchase the JR pass is for Shinkansen, also called bullet train, with which you can travel from Hokkaido in north to Kagoshima in south, and other numerous cities in between such as Kyoto, Osaka, Hiroshima, Kanazawa, Sendai. Not only Shinkansen, you can also use the JR pass for regular trains throughout Japan. 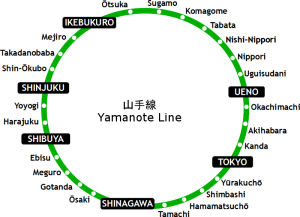 In Tokyo and Osaka the pass is especially useful for urban trains, Tokyo’s Yamanote Line and Osaka’s Loop Line. 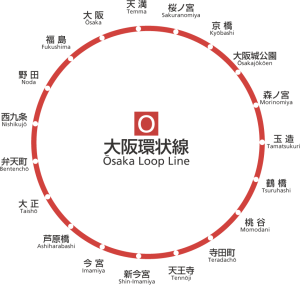 The pass is also usable to the JR ferry from Hiroshima to Miyajima, the monorail between Tokyo and Haneda airport, And Narita express between Tokyo and Narita airport. Three time periods are available: seven days, fourteen days and twenty one days. Each price is as shown. Shinkansen have two types of seats, “Green car”, which is like the first class, and “Ordinary” that is like the second class. While the green car is of course comfier, not enough to justify the price difference in my opinion. And you know, the second class in Japan is like the first class in the rest of the world. Welcome to Japan! Well of course it depends on your itinerary, but I am going to give you two rules of thumb. 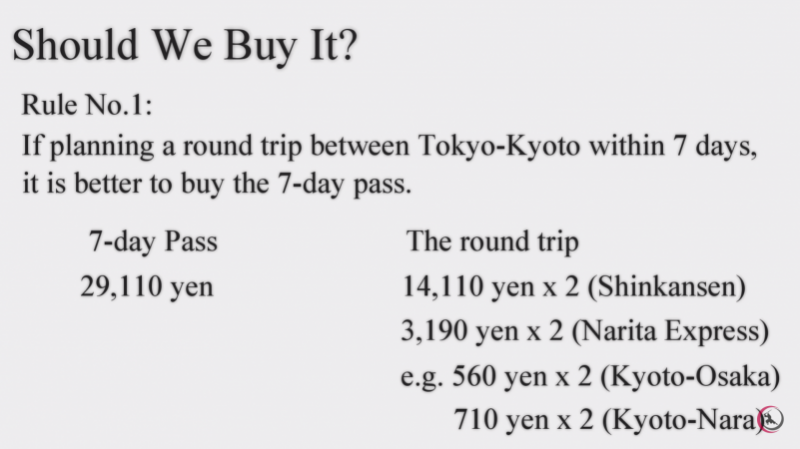 If you plan a round trip between Tokyo and Kyoto within 7 days, it’s better to buy the 7-day pass. 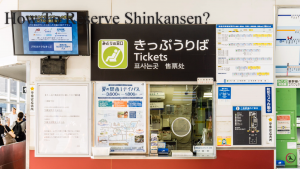 Because the 7-day pass costs about the same as regular shinkansen tickets for a round trip between Tokyo and Kyoto, including the fare from your airport, and local transportation, it is justifiably cheaper to buy the JR pass. And note that your itinerary can be more than 7 days. 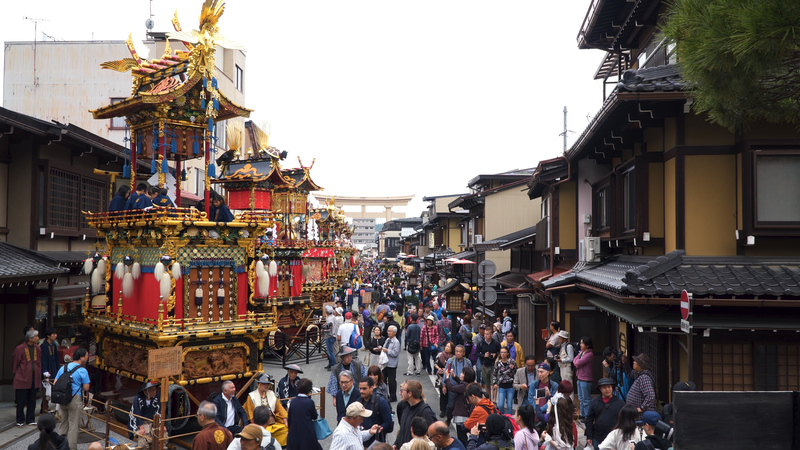 For instance, you can go from Tokyo to Kyoto on the first day and enjoy the historical city, and then come back to Tokyo on the seventh day, and stay there for another week. If you plan a round trip between Tokyo and Hokkaido, or Tokyo and Kyushu in 2 weeks, it is better to buy the 14-day pass. 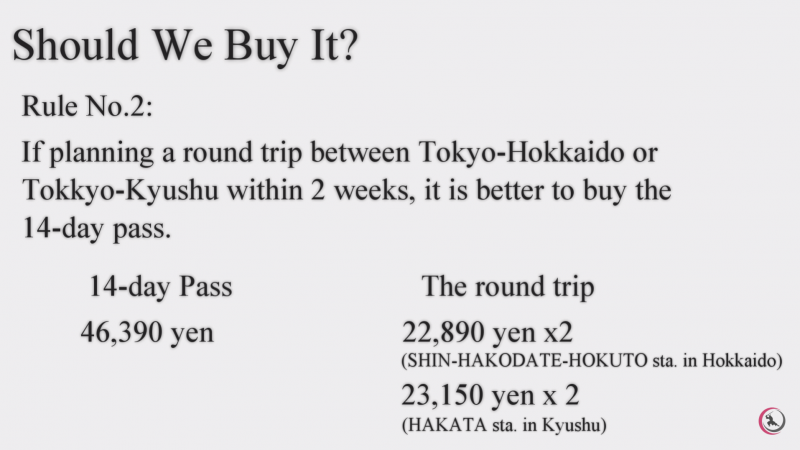 Again, the fourteen-day pass cost about the same as the round trips for these places. Since you will　probably stop over in Kyoto, Osaka, and Hiroshima, it will easily pay off. At any rate, the JR pass likely pays off when traveling long distance. So you should think about how many times you will take the Shinkansen, and how long your itinerary will be. The timetable website Hyperdia is a good tool to calculate Shinkansen fares. First of all, you need to purchase a voucher before coming to Japan. It is so important that I am saying it again. JR pass’s voucher can be purchased only outside Japan. After purchasing, you will receive a voucher, which you can exchange to the actual pass inside Japan within three months of the purchase. 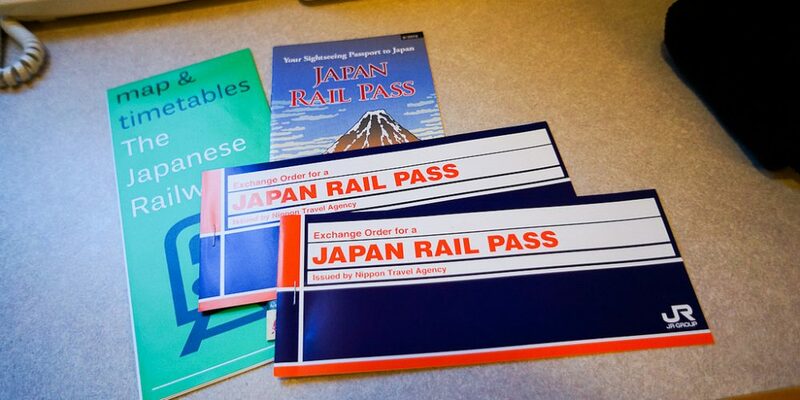 You can exchange the voucher to the JR pass at a JAPAN RAIL PASS exchange offices. Every major station and airport has the office, and here is a list for them. By the way, please note that you will need your passport for exchange. You don’t need to use the pass right away as exchanged. You can pick your starting date any day within 1 month from the exchanging date. Just remember that once the starting date is settled, it can’t be changed. It’s easy. 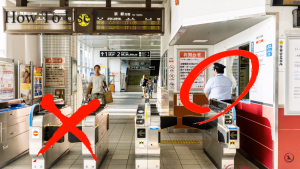 You can just show your JR pass to a station staff as you pass the ticket gate. JR Pass holders cannot use the automatic ticket gates, so make sure to go through the manned gate. How to make a reservation for Shinkansen. The Shinkansen has reserved seats, and you can make reservations for free by presenting your JR pass at any JR ticket office across Japan. The office is called Midori-no-Madoguchi in Japanese, and its sign is as shown. Should I make a reservation for Shinkansen? It is not mandatory, as there are unreserved seats available on Shinkansen. But for peace of mind, I encourage you to always make seat reservations, especially if your itinerary falls on one of these crowded periods below. By the way, most of local trains only have unreserved seats. What would happen if I missed my reservation? Technically, nothing. You can still ride a later Shinkansen in the non-reserved section, or make a new reservation for an upcoming departure. Though this is considered a very bad manner and should be avoided at any cost. 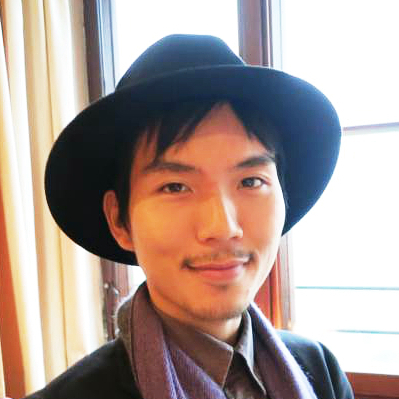 Japanese culture values manners highly. When in Japan, do as Japanese do. Can I use JR pass to all kinds of Shinkansen? Actually, no. 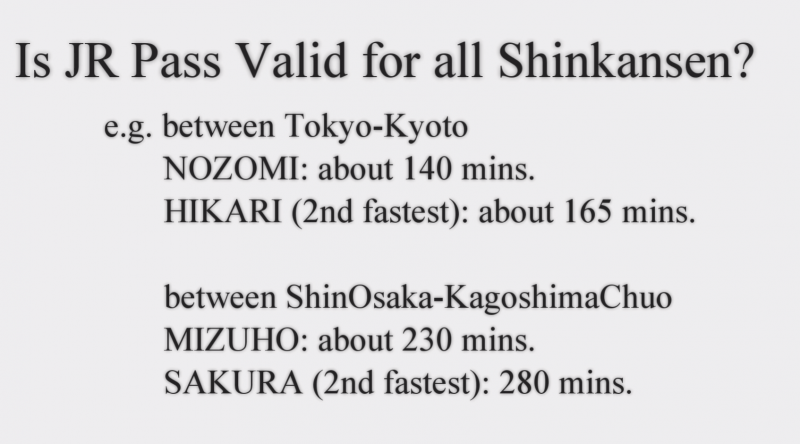 JR pass is not valid on Nozomi Shinkansen and Mizuho Shinkansen, two fastest categories when traveling in west part of Japan. But the time difference between the fastest ones and the second fastest ones is not large, and this should not cause a major inconvenience. Okay, that’s it for today. I really hope this helps you plan your trip! If you have questions, feel free to ask in the comment section below. Again, I also have made a thorough guide on my YouTube channel Japanesquest, so be sure to check and subscribe!